Why add security, watermarks, and digital signatures? Today's digital world constantly creates and shares numerous documents everyday. Whether it is sharing of information, or asking people to collaborate, or sharing templates to fill in, documents are being shared on big and small scales. Whether the audience is within the company or outside, security is a key aspect when sharing confidential information. Another aspect is, being able to collect inputs from authorized people and signing off the documents with digital signatures, moving away from manual signing of paper documents and spending hours on it. Many organisations prefer PDF as a means for document sharing, since being a popular format, PDF takes care of the portability, security, maintaining the originality of the content and also that it is non-editable, so people cannot tamper with the original content. In this particular case, a manager wants to send Timesheet to all his employees who should fill it, sign it and send it back. This timesheet should be opened by only the manager (owner) and the employee (user). The timesheet should have a watermark so that no other timesheet format can be used by employee. The manager prefers PDF Format for the timesheet. Once these features are applied, the manager sends the PDF to their employee. 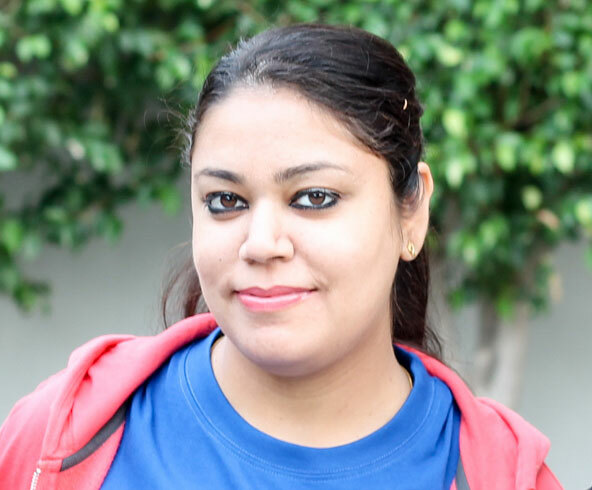 After filling the timesheet and digitally signing it, the employee sends it back to the manager, who then also digitally signs the document and sends it to the HR department. 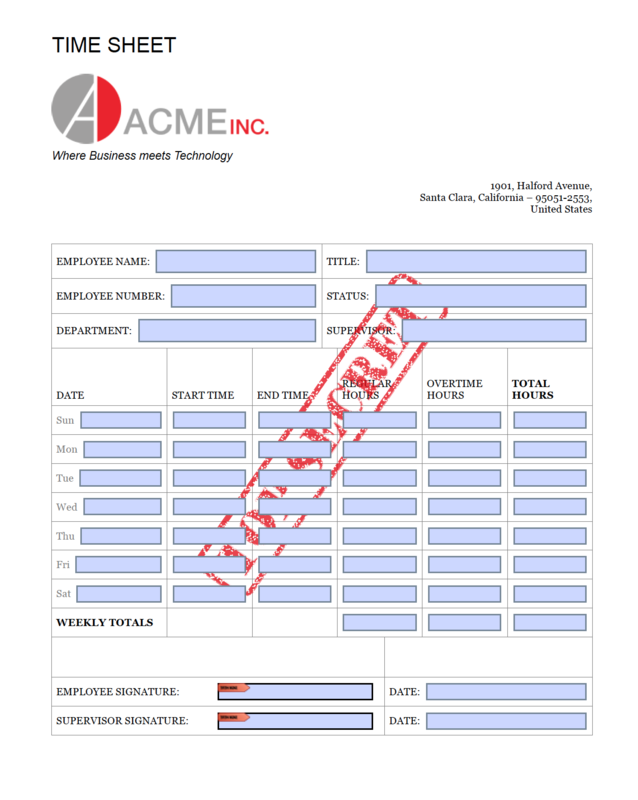 For the scope of this blog, we'll use an existing PDF with a blank timesheet. 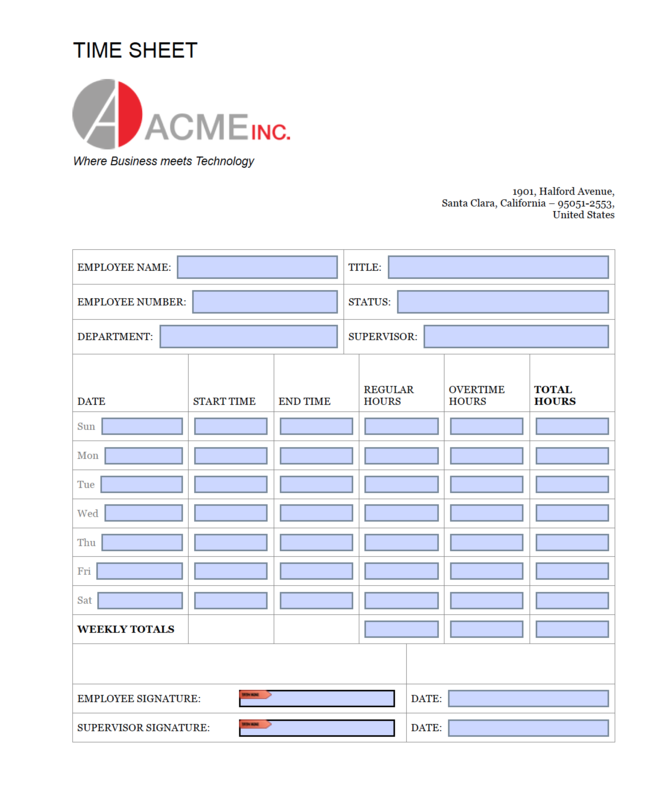 To get a sample of this timesheet, visit the sample demo. 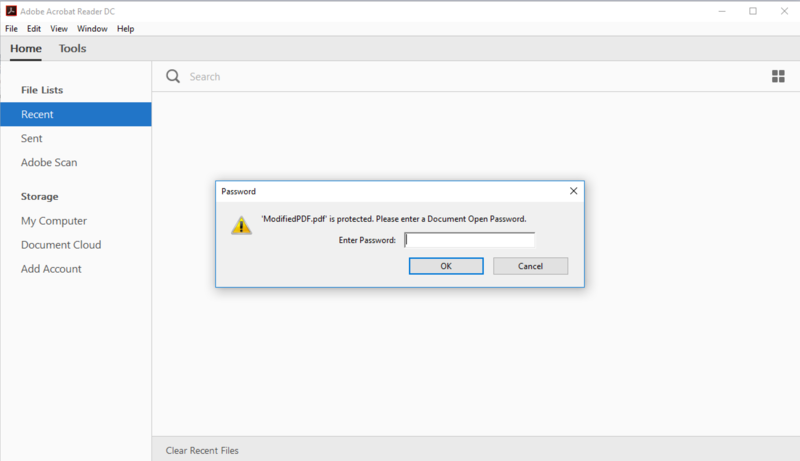 In order to add features to an existing PDF, you need to load the PDF in the GcPdfDocument object and initialize the graphics object. The timesheet is ready to be submitted to HR. 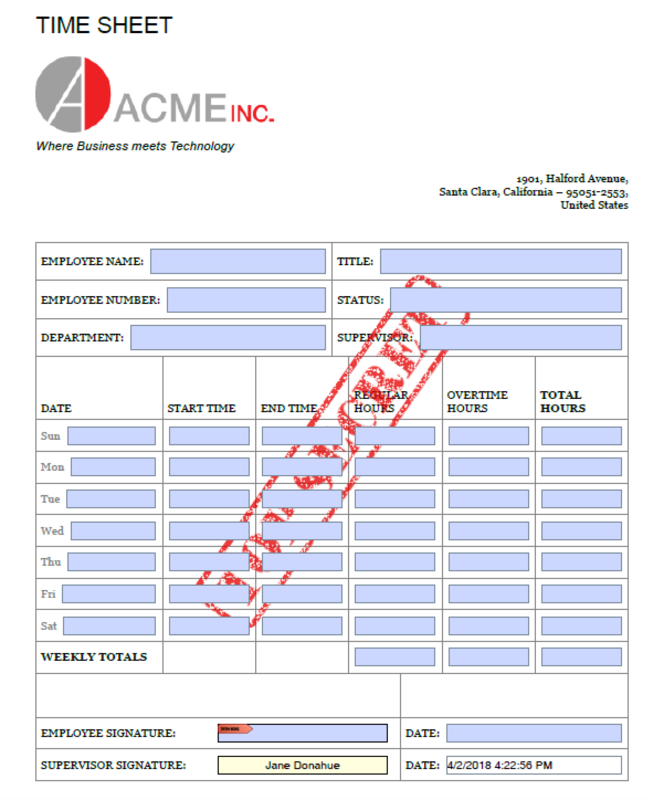 In order to see how to fill this timesheet and sign it by employee, refer to this sample.